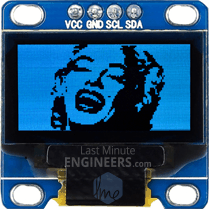 Want to add little graphic pizzazz to your ESP8266 IoT projects? 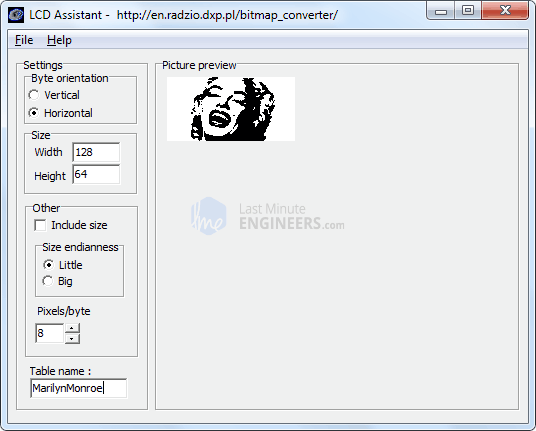 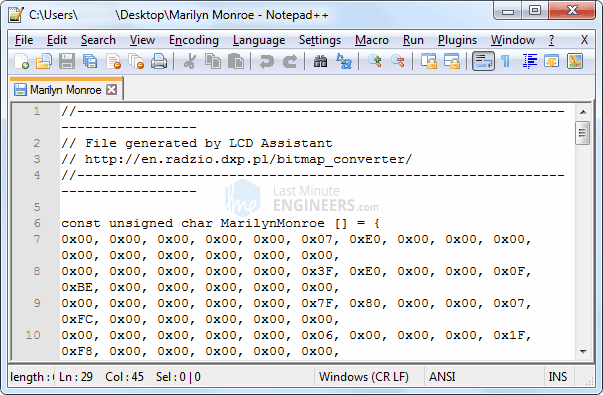 Or maybe you want to display IP address of your ESP8266 without resorting to serial output. 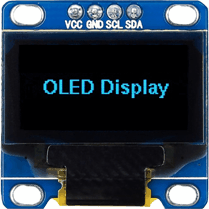 These super-cool OLED (Organic Light-Emitting Diode) displays might be the perfect fit! 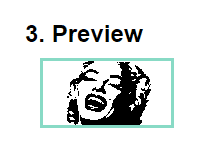 They’re super-light, almost paper-thin, theoretically flexible, and produce a brighter and crisper picture. 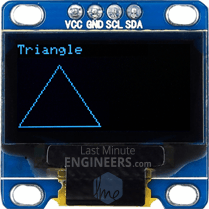 At the heart of the module is a powerful single-chip CMOS OLED driver controller – SSD1306, which handles all the RAM buffering, so that very little work needs to be done by your ESP8266. Also the operating voltage of the SSD1306 controller is from 1.65V to 3.3V – Perfect for interfacing with 3.3V microcontrollers like ESP8266. 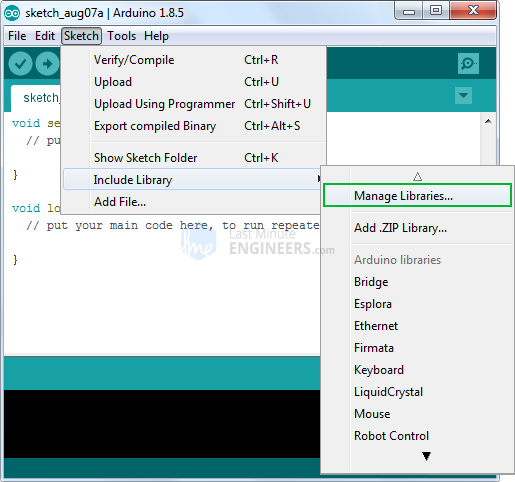 Enough of the theory, Let’s Go Practical! 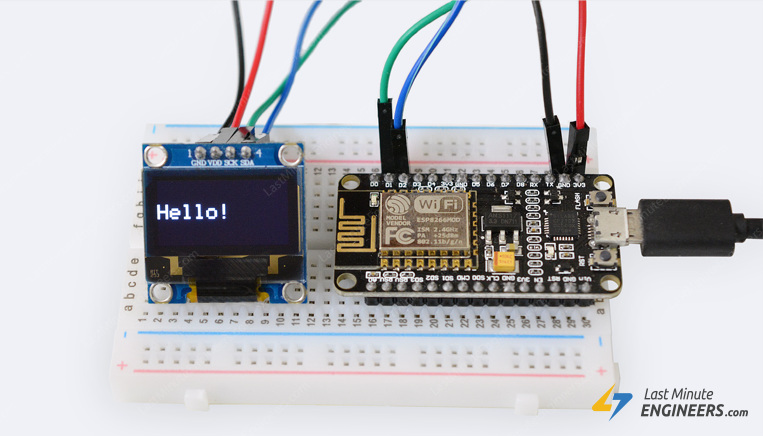 Let’s hook the display up to the ESP8266 NodeMCU. Connections are fairly simple. 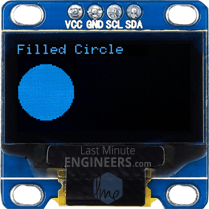 Start by connecting VCC pin to the 3.3V output on the NodeMCU and connect GND to ground. Next, Connect the SCL pin to the I2C clock D1 pin on your NodeMCU and connect the SDA pin to the I2C data D2 pin on your NodeMCU. 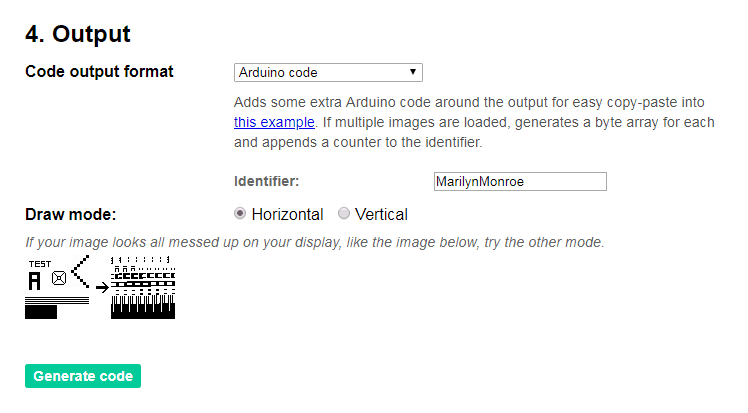 Refer to ESP8266 NodeMCU Pinout. 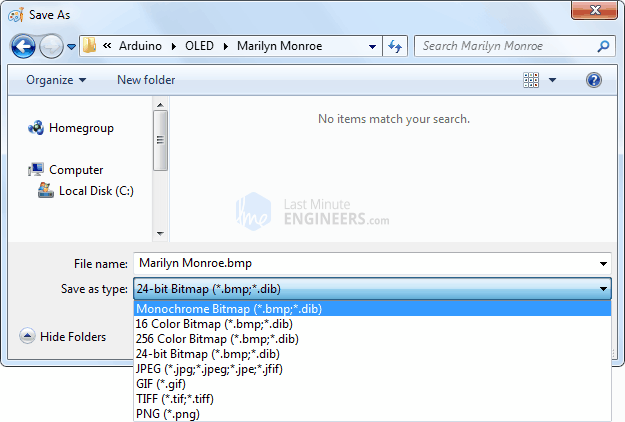 The library allocates 1KB (128×64)/8 bits) of memory from ESP8266 as buffer. So, it can manipulate the screen buffer and then perform a bulk transfer from the ESP8266’s memory to the internal memory of the SSD1306 controller. 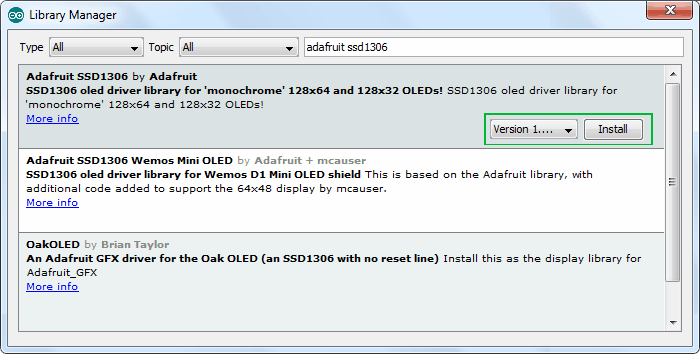 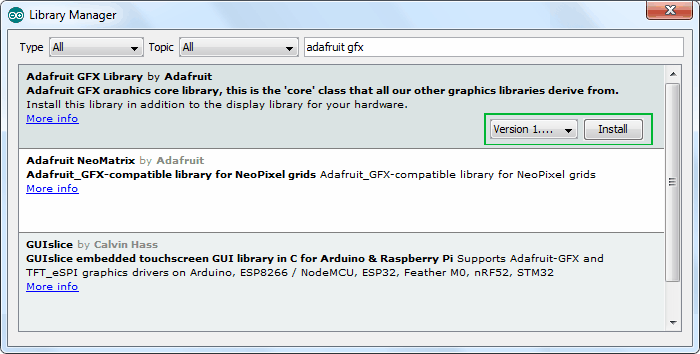 Next, we need to create an object of Adafruit_SSD1306.h. 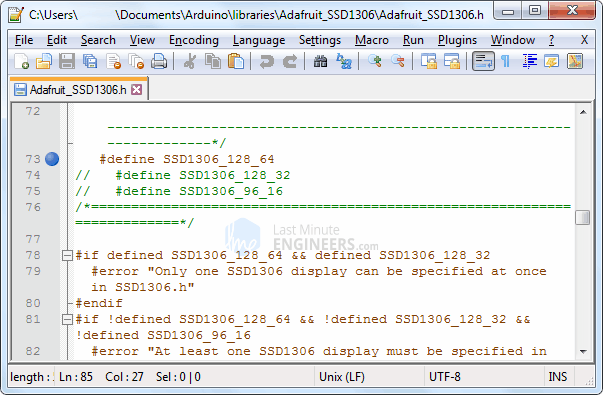 The Adafruit_SSD1306 constructor accepts ESP8266 pin number to which reset pin of the display is connected. 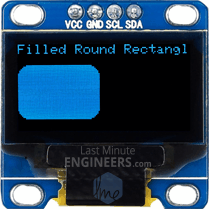 As the OLED display we are using doesn’t have a RESET pin, we will send –1 to the constructor so that none of the ESP8266 pins is used as a reset for the display. 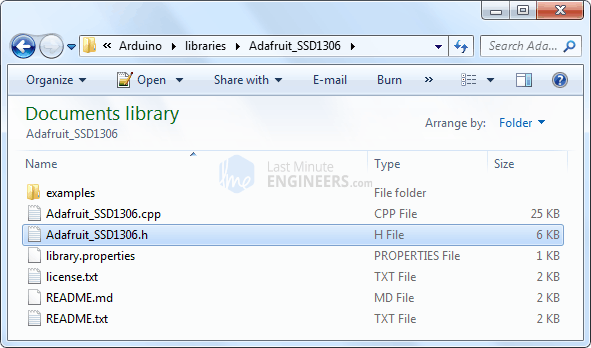 In order for the library to perform extremely fast mathematical operations on the screen buffer (more than 100 frames per second), calls to the print functions do not immediately transfer the contents of screen buffer to the SSD1306 controller. 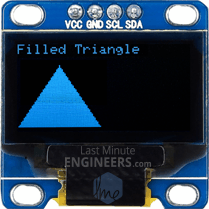 A display() command is required to instruct the library to perform the bulk transfer from the screen buffer in the ESP8266 to the internal memory of the SSD1306 controller. As soon as the memory is being transferred, the pixels corresponding to the screen buffer will show up on the OLED display.